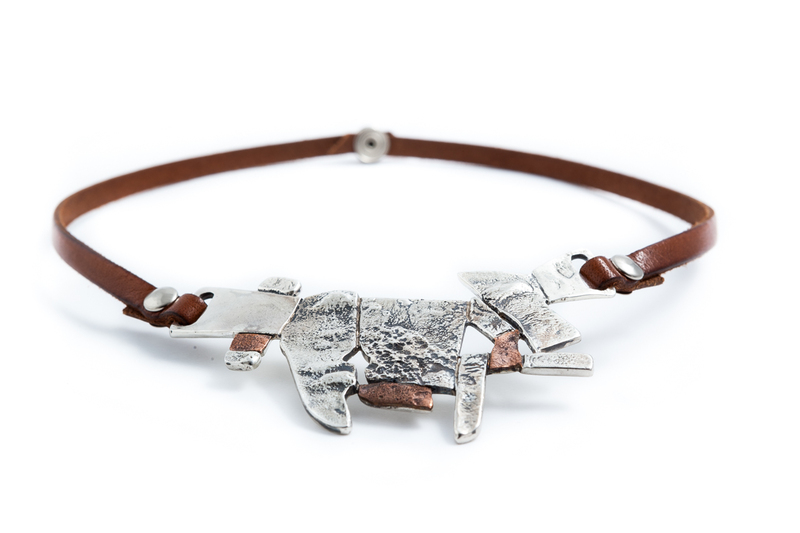 Silver, copper and pyrite necklace, handmade with welding torch. 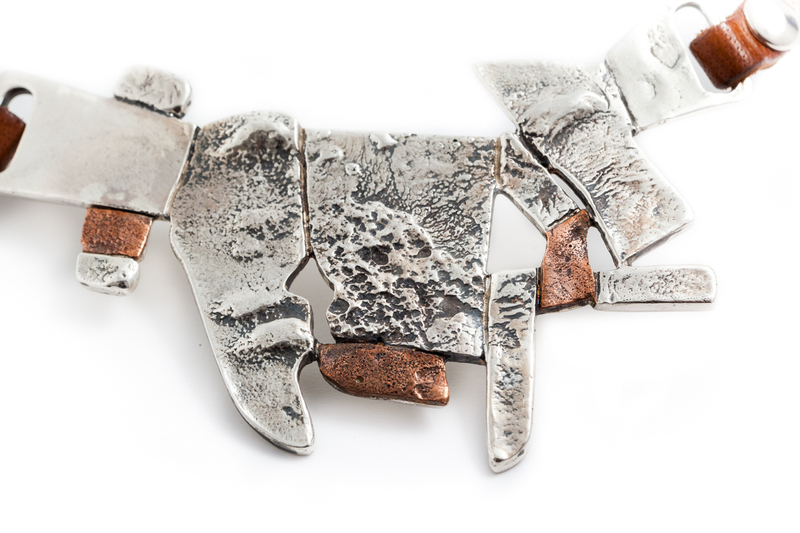 The object is part of the Nuggets collection consisting of unique pieces and offers a reinterpretation of the surface and shape of nuggets in the rough. 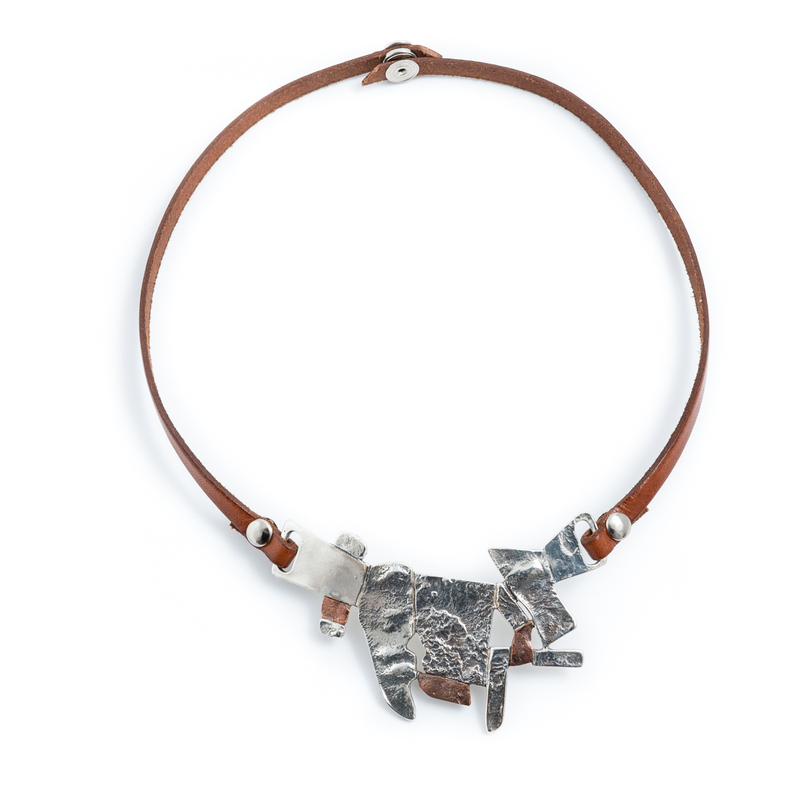 The silver and copper shades are enriched by the inclusion of pyrite crystals. While displaying a single general design, the collection includes different models of necklaces, rings, bracelets and earrings. The technique used makes each artefact unique piece of work .